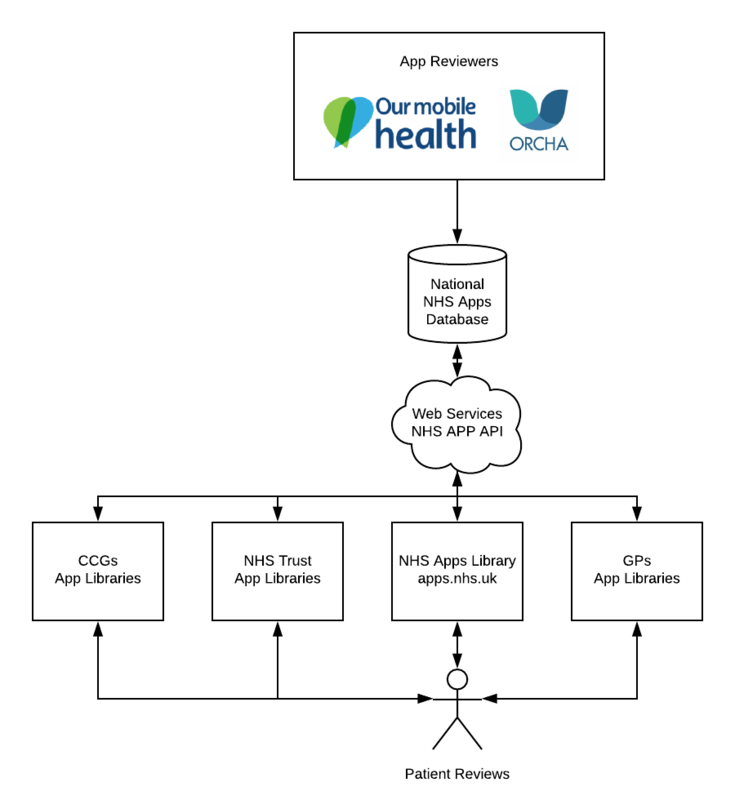 My proposed direction for the NHS Health Apps Library. Project one is the centralised NHS Apps Library that is being developed by NHS Digital and has its apps assessed by both OurMobileHealth and ORCHA. Project two is the library of app reviews curated by ORCHA as part of NHS England’s National Innovation Accelerator programme, but which is independent of the NHS. ORCHA also supports other organisations in order to promote the uptake of digital health solutions at local levels. The existence of these two projects provides an opportunity to build something extremely beneficial. My recommendation would be to merge the two projects removing inconsistency and duplication between top-level NHS and regional-level NHS app libraries. Apps would go through the standard assessment process via either OurMobileHealth or ORCHA before being added to the NHS App Library. CCGs, Providers and GPs would then build their own organisation’s libraries based on the content of the NHS App Library’s central repository, cherry-picking apps they felt would best meet the needs of their service users. Service users would then review and rate the apps within the libraries, thereby creating a large-scale NHS-centric data-set of reviews, enriching the initial assessments with the experience and feedback of users, and thereby helping the NHS to understand which apps the service users themselves deem most acceptable, user-friendly and beneficial.